This Year's Christmas concert was a huge success, bringing joy to all those who attended. What fun! 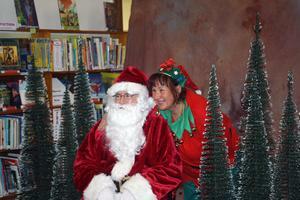 MAA kicked off the Christmas season this weekend with our annual Christmas Festival and Breakfast with Santa. 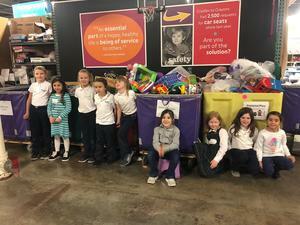 Students, faculty, staff, and families gathered in the Dorothy McCormick Gymnasium on Friday for a fantastic afternoon of games, raffles, and fun. 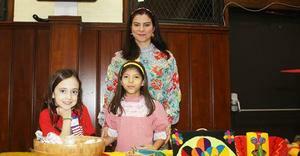 Students could choose from a myriad of activities staffed by MAA parents. 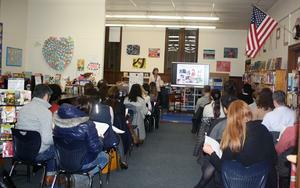 MAA's school counselor, Ms. Jennifer Dirga met with parents last evening to discuss children's social-emotional learning. 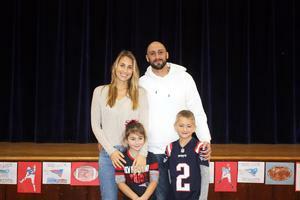 Mount Alvernia Academy students were treated to an inspiring talk yesterday morning by MAA parent and Patriots quarterback, Mr. Brian Hoyer. What better way to kick-off Catholic Schools Week than to celebrate the cultural heritage of our students, faculty, and staff. All Saints' Day at MAA! It’s All Saints' Day at MAA and that means some pretty incredible individuals visited campus today. Our day of celebration began with Mass in the auditorium led by MAA’s 4th graders, who all dressed up as a saint. They did a beautiful job singing and reading during Mass. Thank you, Mrs. Moore, for planning such a beautiful liturgy and Fr. Daniel Hennessey for leading us in prayer. 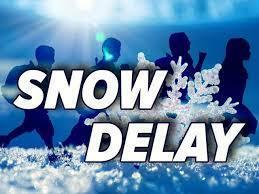 MAA will be opening 2 hours late on Friday due to the snow. Stay warm & safe! Looking Forward to Another Fun Year for MAA's Band! 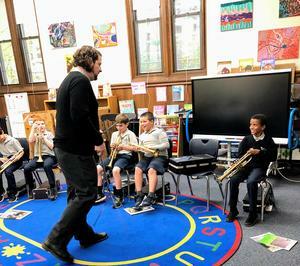 MAA is lucky to partner with Paul Effman Music to teach our students to play everything from the clarinet to the saxophone and now, for the first time, the violin. Today is the Feast of St. Francis of Assisi. 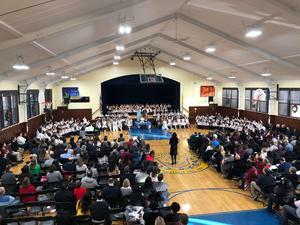 Our students, faculty, staff, and family members came together this morning to celebrate the founder of the Franciscans and the patron saints of our school, St. Francis and St. Clare.